The California Partnership Academies (CPAs) are a network of approximately 400 programs supported by competitive state grants in California’s public high schools. Begun in 1985, the CPAs are designed to prepare students for both college and careers. The CPAs are based in the Curriculum, Learning, and Accountability Branch of the California Department of Education. Please visit the CPA section of the California Department of Education’s website for grant and funding information, program resources, and annual reporting requirements. 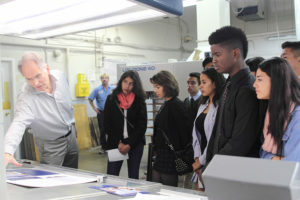 California Partnership Academies provide students opportunities to visualize their future through career exploration visits. 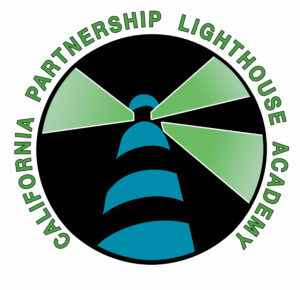 The “CPA Lighthouse Academy Model Programs” have been recognized for their quality of including industry partners, legislators, and special interest groups. The Lighthouse Academies are intensively trained and provided with modest funding to offset the cost of their efforts. As of the 2017-18 school year, there are 17 Lighthouse Academies representing nine state-recognized industry sectors, and scattered regionally to provide local assistance whenever needed. The California Partnership Academies “Distinguished Academies” have earned this title by surviving a rigorous audit of all program components required by California Education Code sections 54690-54699. The first review for overall program compliance was made on CPA annual reports for the most recent three years, to show both quality and continuity. Programs making this cut were then reviewed for providing additional options to students such as articulation agreements, dual credit, and industry certifications. Once a list of programs meeting these standards was in place, each of the programs on the list were requested to provide the CDE with substantiating materials for review; i.e., class rosters, integrated project curricula, meeting agendas and minutes, and staffing schedules. Finally, each program was visited and reviewed by CDE, CCASN, and/or Lighthouse Academy staff. A directory of California Partnership Academies is included. Each listing includes contact information.